So called “Money Games” have become an integral part of HBCU Football. Stories like Caylin Newton leading Howard to the “biggest Upset” in college football history or Florida A&M’s 10 hour bus ride and subsequent twitter fallout (thanks to Jay Bilas) have brought the nuances of these David vs Goliath matchups to the doorstep of mainstream sports media. 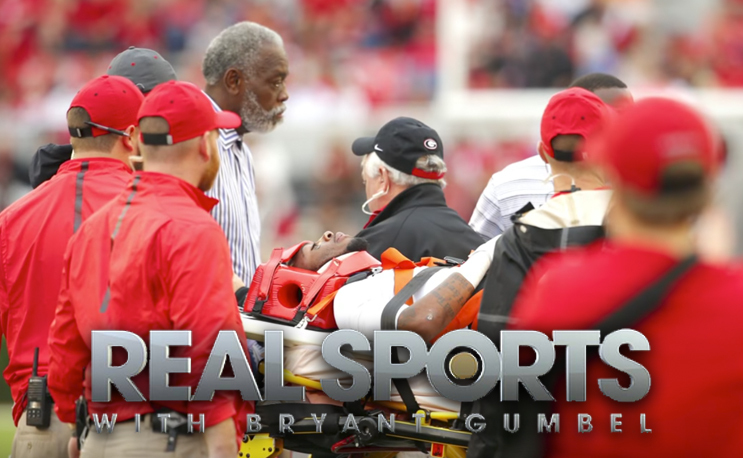 At the top of those mainstream sports media outlets is HBO’s Emmy award winning series “Real Sports w/ Bryant Gumble”. Who is airing an episode titled “Guaranteed Games” where they focus on the impact of these games on the smaller, under resourced HBCU’s who rely on these big paydays to keep their programs alive. Among the litany of issues involved with these games is the balance of player safety vs the money received for the good of the football program as a whole. The reality of his grim words are realized in the form of former Southern football player Devon Gales, who details a spine injury he had while playing in one of these early season mis-matches. The Episode Airs tonight (September 26th 2017) at 10pm on HBO and is sure to stir up conversation throughout the college sports universe. Keep an eye on the HBCU Gameday Twitter Account as we keep our eyes on how this special could change the dynamic of HBCU Football in the future. How do I connect with the creator of the “money games” feature? I have comments that may be relevant if “Real Sports” should ever do a follow-up story.